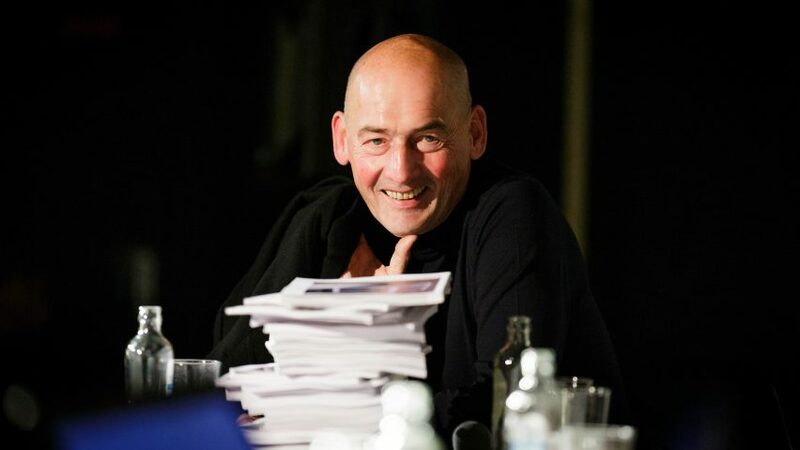 The international offices of Dutch architecture firm OMA have been given independence from the head office in Rotterdam, allowing founder Rem Koolhaas to concentrate on personal projects, the architect has explained. Speaking to Dezeen in Miami last month, the Dutch architect said that the six overseas offices would continue to carry the Office for Metropolitan Architecture (OMA) name "for the time being". "Each of them has a more or less independent voice," Koolhaas said. "You have noticed how [OMA partner] Reinier [de Graaf] is doing everything in London." Update 22/12/16: Koolhaas has spoken to Dezeen to clarify and expand on aspects of this post. His additional comments have been added at the bottom of the story. OMA's New York office has been led by partner Shohei Shigematsu since 2006, with the Japanese architect now credited for buildings carried out by the office, including the trio of buildings for Faena in Miami Beach that were completed last month. OMA's Rotterdam office is run by several partners, including Ippolito Pestellini Laparelli, while the Dubai office is headed by Syrian partner Iyad Alsaka. The firm also has offices in Beijing, Hong Kong, Doha and Australia. Asked if the move was a form of succession planning, Koolhaas said: "Yeah, well yeah. Not only succession planning but also for the current moment we're doing a lot in many different countries. It's simply not possible for one person to do it, but also I don't want to." Referring to his curation of the Venice Architecture Biennale in 2014, he said: "I mean, I want to have a life and I want to be able to do things like Venice". He added: "I think it's very important, compared to all the other firms that are simply trying to suggest that they can have eternal life." When asked whether the move to give autonomy to OMA's regional offices followed any kind of branding strategy from the corporate world, Koolhaas replied: "Interesting question. I think it goes against branding. I think the whole problem with branding is that they always try to define the essence and then, in a way, employ the essence and then cannot do anything any more." Earlier this year Koolhaas, 72, reportedly said that Zaha Hadid Architects should follow the lead of fashion houses and build its brand around the name of its founder, who died in March. However Koolhaas said the reports were "garbage". "That was nonsense," he said. "I didn't say that. I think that is a very unhealthy if you start manipulating the DNA of a dead person." Koolhaas giving independence to OMA's offices allowed him personally to focus on a smaller number of projects, he said. "I tried to engineer it because it also means that I can do things myself," he told Dezeen. "Next year I have some really great buildings in Doha that are being done. The headquarters for the Qatar Foundation, the National Library. They're really amazing. And one in Taipei." Koolhaas said that OMA's projects in China had previously been hit by the political backlash against "weird architecture," but denied that OMA's huge CCTV building in Beijing – which has been nicknamed "big pants" – had been the catalyst for Chinese president Xi Jinping's attack on bizarre buildings in the country. "In China at some point it was difficult after the freaky building story but that resolved itself," he said. "In a way I agree [with what Xi Jinping said]. I just didn't agree that our building… I didn't think our building was part of it." Last year, Zaha Hadid Architects director Patrik Schumacher told Dezeen that his firm was finding it more difficult to win work in China after the president's outburst. "There was a kind of total reaction," Koolhaas agreed, adding that the situation in China had now resolved itself. "I don't know whether it's a change of policy or if it's just [the passing of] time. [But] it's taken care of itself." Koolhaas said he was not aware of the furore surrounding Schumacher's controversial recent comments calling for the abolition of social housing and public space but said: "I think he's very courageous. I think he's an intellectual. I have great respect for anyone who writes a book." Koolhaas spoke exclusively to Dezeen over lunch in Miami Beach following the opening of the Faena Forum building by OMA's New York office. During the conversation he also discussed how he had been unsurprised at Donald Trump's victory in the US presidential election, arguing that the obsession with cities has "has made us blind to what is happening in the countryside." OMA has been studying rural America where, according to Koolhaas, "transformation is more radical and also more essential to understand." He added: "I'm not saying that Trump was inevitable but the scale of upheaval in the centre of America made it very understandable for me that something else was going to happen." OMA has also been studying conditions in rural Russia where, unlike the technological advance in the American countryside, some areas are "going back to the 19th century". What we see in Russia, for example, that Aeroflot in Soviet times covered 200 destinations and now under the market economy it it's only 60. That means 140 have been abandoned. Some sections of Russia are in forward movement and others are simply returning to 19th century." "I think the main confusion is that you misunderstood the current running performance of the office as a kind of blueprint for the future of the office," Koolhaas said. "In Miami when we spoke, I was very happy with the current way the office works because it is simply a demonstration and illustration that the partnership we generated in the last five years actually is performing very well. "Each of the partners has in the past couple of years directed significant projects on their own, and we also continue to collaborate. So it’s a satisfaction with the moment rather than an announcement for the future, and a statement of how well the partnership we’ve generated is now working. "It is not the case that "the international offices have been given independence from head office, allowing Rem Koolhaas to focus on personal projects”. It is more that over the past few years they have each been given - and have assumed - a degree of independence, but still that the whole thing works like a partnership. And that that is the model we have been developing in the last five years. "And it is true that the partners now operate on their own in certain cases, but we also operate in tandem and in combination. Reinier [de Graaf] has done a number of projects in London and Scandinavia; Sho [Shigematsu] and Jason [Long] are leading work in North America, as is Ippo [Pestellini Laparelli] in Italy, who is going to be the main curator of the next Manifesta in Palermo; our Syrian partner Iyad Alsaka is opening OMA’s first building in Dubai, which is an art venue. "David Gianotten has single-handedly devised a strategy to create a new stadium for Feyenoord in Rotterdam, and also won a major museum in Australia; Chris van Duijn is re-activating our whole presence in China; Ellen van Loon is realising major buildings in Copenhagen and the Hague. "But it is also the case that I am doing with David together the theatre in Taipei; with Ellen together the theatre in Manchester; with Chris the headquarters of Axel Springer in Berlin; and that I am doing buildings in Doha and Milan. "We consider the partnership a model, a work in progress, and I am fully intending to be and remain an active part of it. So I was really talking about the present."